Report 'Recurring donation total since 9/28' failed. Can you attend the Net Neutrality rally and speakout? Yes, I'll be there and I'd like to volunteer to do more! No, I can only make it for the forum. You will receive periodic updates from Free Press. You may unsubscribe at any time. 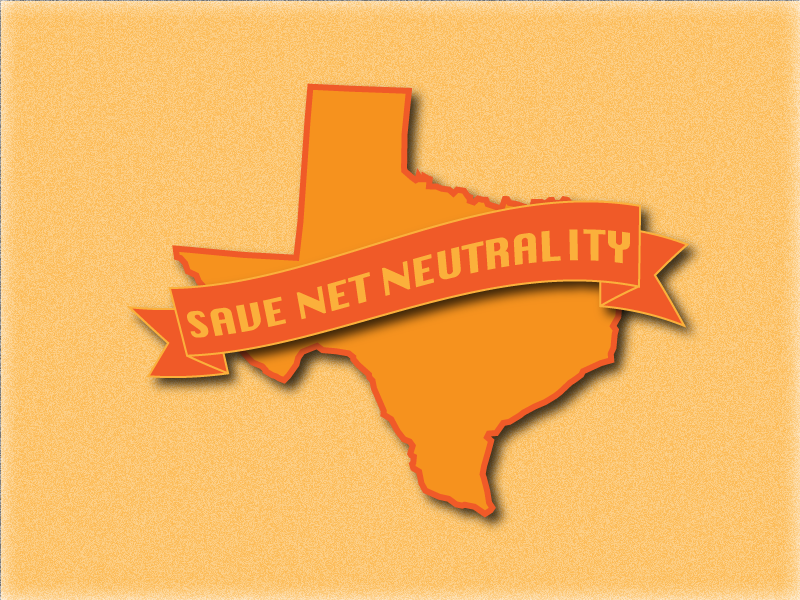 The debate on Net Neutrality is coming to Texas — and this is your chance to speak out. FCC Commissioner Ajit Pai is holding an open forum on Net Neutrality at Texas A&M University in College Station on Tues., Oct. 21. Don’t miss out on this chance to show a key decision maker that you support real Net Neutrality. Bring: Bring a sign expressing your support for Net Neutrality. Note: Right after the rally we'll head inside Hagler Auditorium at 10 a.m. for the commissioner's forum. Commissioners rarely leave Washington to meet with the public, and as of now this event is the only one of its kind on the calendar. But Pai’s hardly a Net Neutrality advocate — in fact, he’d be happy to let a few mammoth companies lock down the Internet and charge us more money. That’s why we need you there on Oct. 21. RSVP today to tell Commissioner Pai that you’ll stand for nothing less than real Net Neutrality.